Strategy and creativity – winning at the CMAs is about being a great team. Try getting this song out your head. Wunderman Thompson’s Mike Butler’s skill with the quill is undeniable. Have work you want to share? Spring created mouthy OOH ads for the Vancouver radio station. Blok’s design for Women’s Creative Collective is definitely Insta-worthy. A Reese egg took a jaunt as the war to be in consumers’ Easter baskets heats up. The Montreal-born Queer Eye food guy sizzled at a swank dinner for GE’s swanky new appliance collection. Tim Hortons’ managed to stand out for its simple, yet effective, tweet. 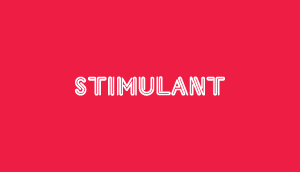 Stimulant™ aims to inspire ad industry creatives and anyone whose profession involves marketing and creativity. Copyright © 2008-2019 Brunico Communications Ltd. All Rights Reserved. Please, whitelist stimulantonline.ca in your ad blocker and refresh your browser.